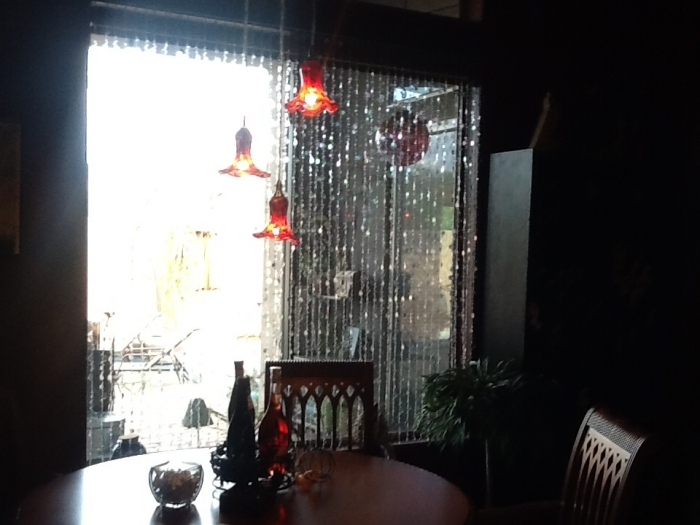 This Beaded Curtain is the Curtain that started it all for ShopWildThings. Oprah Winfrey was turning 50, and Harpo Studios gave us a call. What happens when Harpo Studios calls your little website business? Remember - it's 2004. We've got our website, and we still have retail stores, too. We're packing boxes on the front counter. OPRAH WINFREY LOVES YOUR WEBSITE. OPRAH's TEAM loves your website...and they are throwing her a Surprise on-air 50th Birthday Bash. Long story short, our idea for ShopWildThings changed forever because we realized that we should be focusing on set design - Events and Weddings are sets in their own sense, too! 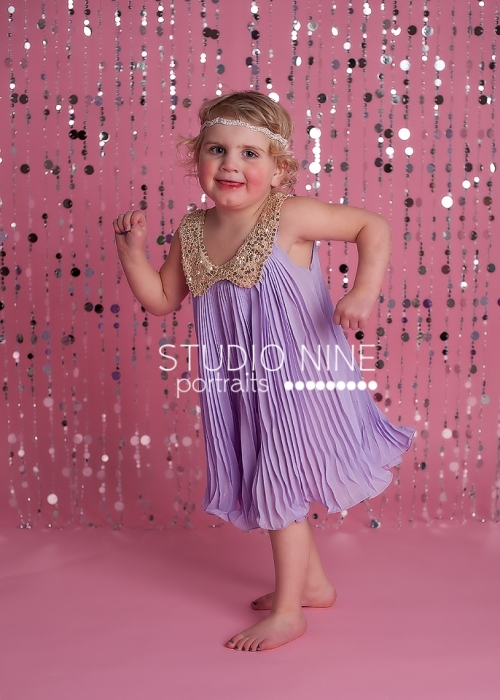 All the sparkle on the set was from our Beaded Curtains. We DIED when we watched John Travolta dance across the stage in front of OUR CURTAINS. THIS WAS OUR IDEA! It was exciting, and we still love this curtain. If you have a few minutes, you can scroll way to the bottom of this page and play a clip from that episode. 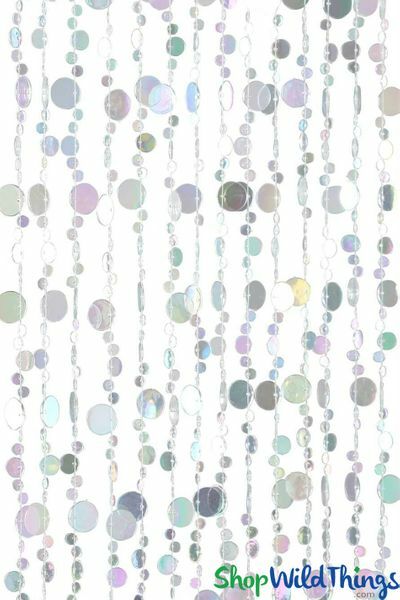 This Bubbles curtain has 23 strands of clear iridescent coated beads hanging from one rod. 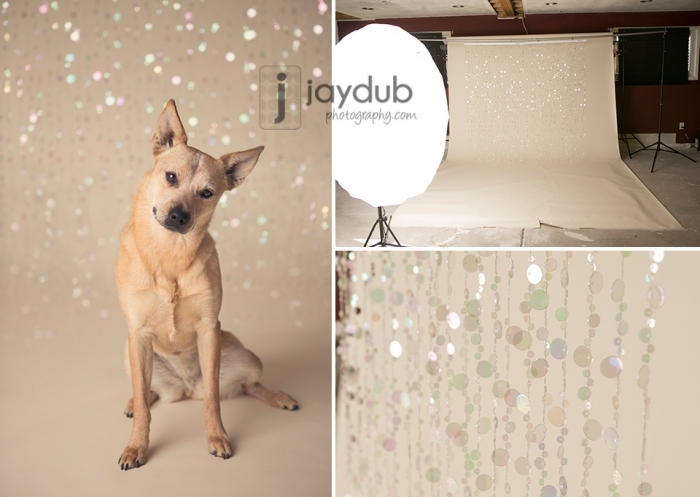 This Crystal Clear Iridescent Bubbles curtain are so beautiful...they add sparkle and glitter all over any surface! You can even hang them on top of another fabric like a shower curtain or window treatment if you want the sparkly look but you still like a more little privacy! This style curtain is also available in Blue, Purple, Rainbow, Black and glow-in-the-dark beads! 35" Wide x 70" Long: Our wonderful heavy-duty acrylic beaded curtains are a perfect addition to any room! Use in the place of regular doors, closet doors, or behind a bed to add height to any room! Because the bubble disc beads on this style lay in different directions, even with just 23 strands you get a very full look with this beaded curtain. Make sure to check our shipping prices on the link to the left! We are very excited about what we can do for you! Loving the look of my bedroom! Exactly was I looking for. Love them, they look great! We are LOVING this little baby! Merchant Response:OH my goodness thank you for this photo, it MADE OUR DAY! Purchased 2 as curtains for her closet, since we removed the sliding doors. When The sun shines through the windows, it�€™s so pretty. Easy to hang myself and came neatly packaged. Not a bad thing to say, don�€™t hesitate. We will be purchasing more in the future! The product arrived in perfect condition, no damage nor entanglement. it's beautiful and shimmering. Looks really nice. We combined two of them to make the curtain 'thicker' and it looks really nice. We are going to buy two more to do another doorway in the same area. We purchased these for a Spring window display in our shop. Looks fantastic especially when the sun shines on it. A real attention getter! Always wanted something fun and pretty on my salon window so I tore down those dated verticals and put these up and voila! Just beautiful! Going to order more for my house . Wonderful customer service as well!! Merchant Response:Thank you so much!! You will love them in your home as well. Perfect solution to dividing the main living space and office area of my small apartment. They are lightweight and easy to hang. 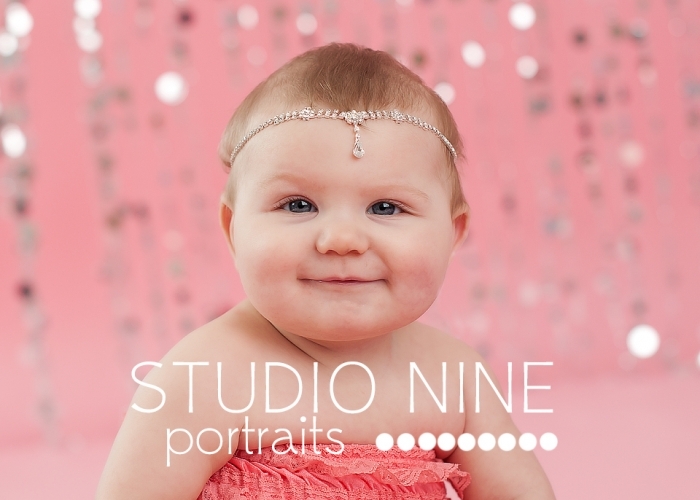 ProsLight weight, easy to hang, beautiful and shimmery without looking cheap. I LOVE My Bubble Curtain!! I wanted something that would enhance the morning daylight that comes into my bathroom. Your Bubble Curtain was exactly what I wanted. I was so afraid that I would have to craft something, but you saved me so much time and....money. The curtain is very reasonably priced. I now find myself looking around my home for more places I could use your beaded curatins. You have such a HUGE selection!! Thank you so much. I purchased this beaded curtain as a room divider in my new house and it FAR exceeded my expectations. I LOVE IT!!! This sparkles and shimmers in the slightest breeze. The only thing is I wish it were fuller. I ordered a second one and will incorporate it into the first one for more fullness. Fast and a quality product. Thank you Shop Wild Things! I HUNG THE CURTAIN BETWEEN KITCHEN AND LIVING ROOM AS A PARTIAL DIVIDER, IT LOOKS AMAZING AND I GET LOTS OF COMPLIMENTS. JUST THE SLIGHTEST AIR MOVMENT AND THEY ARE DANCING WITH SPARKLE! Bought these for a bathroom window and love they way they look: super easy to hang. Good Company to work with. They do their best to service you. ProsI am happy with beaded curtain. Had something similar years ago. ConsSome of the strings were further apart than others. Used as a closet curtain for my daughters "sparkly" room. What a wonderful addition- It looks fabulous! I just got my Crystal Bubble Curtain and it looks fantastic in photos! It will be the perfect addition to my studio. Thanks so much! Merchant Response:Love the photo! A tip on storing: while the curtain is hanging, starting towards the bottom, loosely tie together a handful of strands and repeat this across the curtain and at least once more towards the top (without pulling too tight). This "ponytail" method makes it easier to put back into the box and a snap to pull out, hang and untie. Easy to hang with the two hook loops. The beads sparkle and are happily resistant to tangling. ProsThe light dancing off it should make for a beautiful presentation. It's lightweight enough to not concern me for where I will be hanging it. ConsIn the middle of the rod, there is an incorrect spacing for the hanging beads. All the beads are hanging with 4 slots between, however this one is 7 slots between and then the next is only 2. I'm sure this will not affect the overall look, but I wish it could have been uniform. 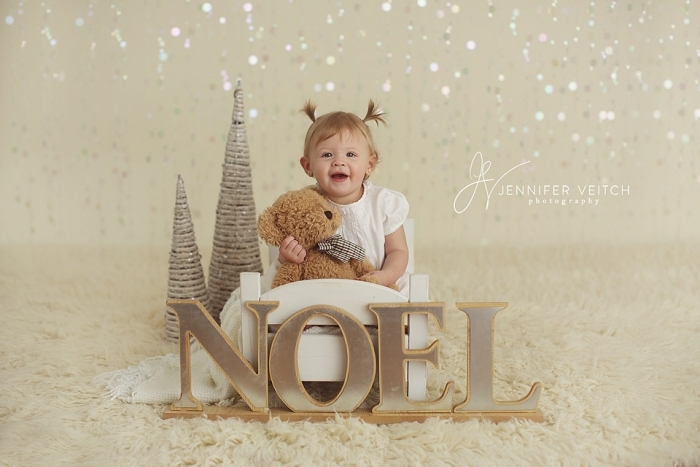 Merchant Response:What a lovely child (oh, and cute backdrop too! 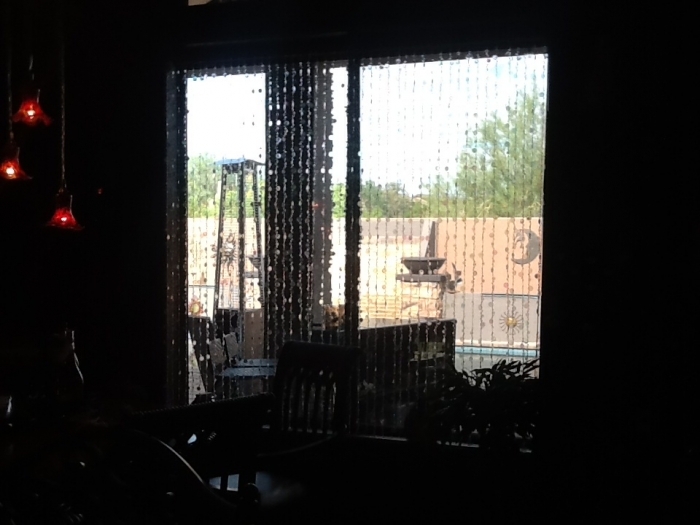 )...thank you for taking the time to send your photo and to review this beaded curtain. A tip for storage to avoid tangling: tie them by gathering all of the beads in your hands and wrapping some ribbon all the way around like a pony tail. 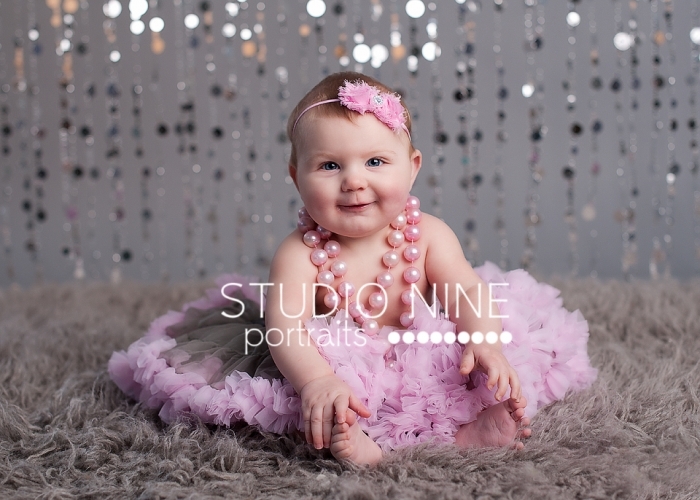 You can do this a couple of times when the beads are not in use in your studio and they will be ready to use with little frustration at your next shoot! The 'beads' catch the light and sparkle! They were packaged well, did not get tangled, and were SUPER easy to install. I used it for a girls bathroom at the 8th grade dance. It was perfect with our theme. 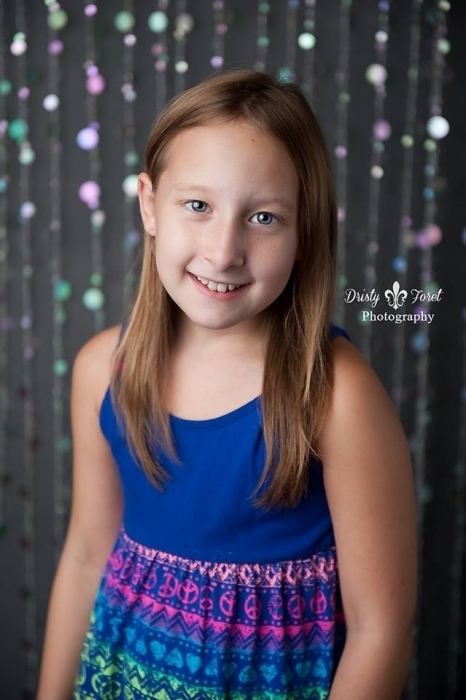 I have used these for several different photo sessions and will continue to! My clients just love them! I put the beaded curtains on my bathroom. I added more strings to make a thicker curtain. Had lots of trouble getting the end off the rod to add the extra strings. Ended up cutting the end off. The beaded strings do not tangle and look great when the sun shines through. I am going to do the same thing in the other bathroom when it gets remodeled. ProsLooks great with the sun. Strings do not tangle. ConsEnds do not come off rod. Had to cut them. Easy-to-use and to put up.And so beautiful. ProsFast Shipping. going to tell all my friends about this product. The beads are beautiful but the strings were not put on evenly and therefore there are gaps - need to be more careful. Arrived quickly and was packed well, and the item looks durable. ConsI need to add 8" to the width to fit the window area properly and am afraid that the look will not be seamless, and the addition may not hang well. I have not attempted this job as of yet. Will be purchasing 30 more. I love them. I have two double door openings in my house with bubbles instead of doors. ProsThe way they dance in the breeze & catch the light. I use them for my tent at our local farm markets. I am a Tarot reader and the curtains give the feel and look for my business. I have gotten so many compliments. I am ordering four more! ProsThe colors are amazing when the sun hits the beads. They are light weight and easy to hang. ConsTransporting them when I am traveling to different farm markets. Solution: I am tying them up with 4 pieces of rolled tulle. Then I lay the curtains down flat and role them into my rug that I use for my readings. It is extra work, but it is worth it. 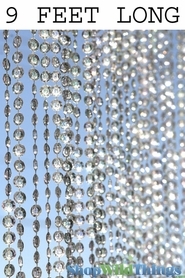 The bubbles crystal beaded curtain is stunning. It just what I imagined to be and more! I was impressed with the quality of this item. I actually took them off the curtain rod and sewed them to fabric curtains. They came out great. The crystals pick up the colors in the room. This curtain is really nice when the light goes through it. It is very sparkly and somehow still gentle and airy looking. We love it. 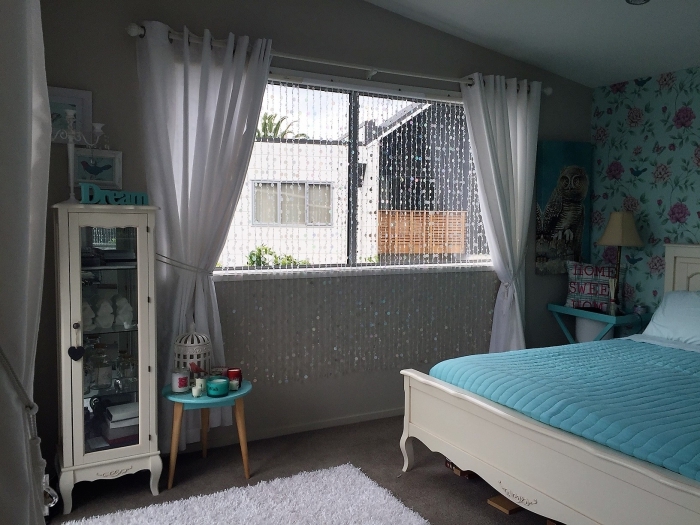 We have used a lot of their beaded curtains for our house and now just ordered string curtains for one of our bedrooms to go between a bathroom area and the bed area. Our friends did that and it looks amazing.